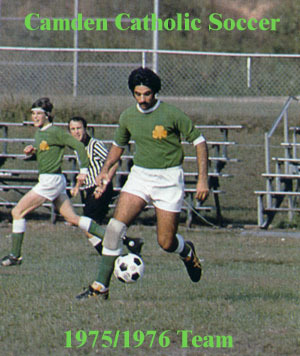 The purpose of this web site is to provide contact information to those of us who played on the very first Camden Catholic High School soccer teams (1974/1975 & 1975/1976 - both varsity and junior varsity). Over the last few years, several players from these two soccer seasons expressed an interest in occasionally getting together and kicking the ball around. Hopefully this simple web site will help in facilitating this interest. Please contact anyone you know who played during these two seasons and have them forward me their telephone numbers and email addresses (work and/or home) so that they can be listed. In order to help prevent unsolicited email ("spam") from being sent to our team members, "mailto" tags (which make email hyperlinks) have purposely not been included on this web site. This helps prevent spammers from using webcrawling software to retrieve our email addresses for spamming purposes. To email a team member, simply copy and paste an email address into the address window of your email program. To email a team member, simply copy and paste the email address into the address box of your email program. 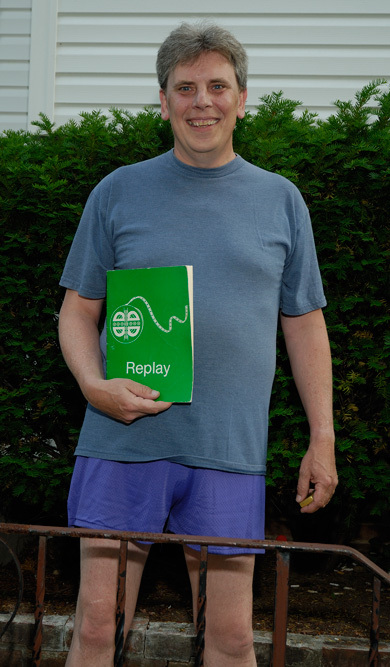 When I get more time, this web page will have the complete rosters and photographs for the varsity and junior varsity teams for both the 1974/1975 and 1975/1976 seasons. Show support for our current Irish Soccer team by attending games when you can! 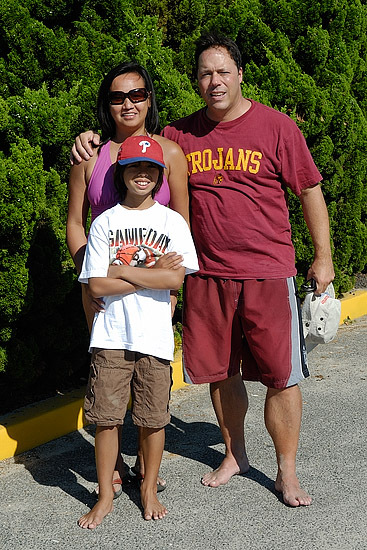 Tom Nasuti with his wife and son visiting Ocean City, New Jersey on September 1, 2008. 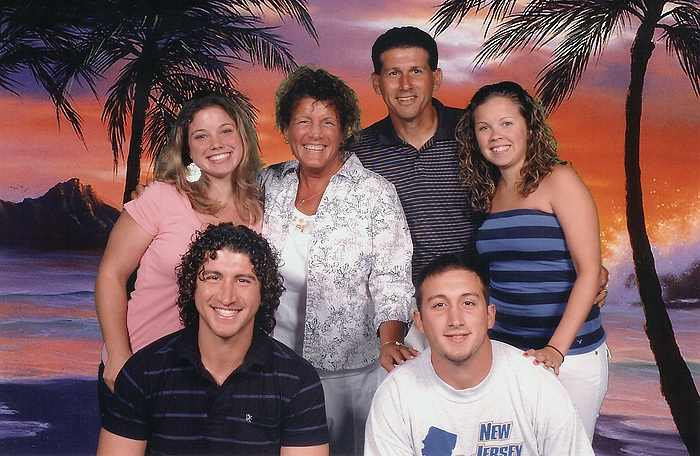 Cris Vaccaro, with his wife Maureen, son Chris, daughter-in-law Amanda, son Dave, and Dave's girlfriend Mary Kate on a Bermuda cruise in August 2008. 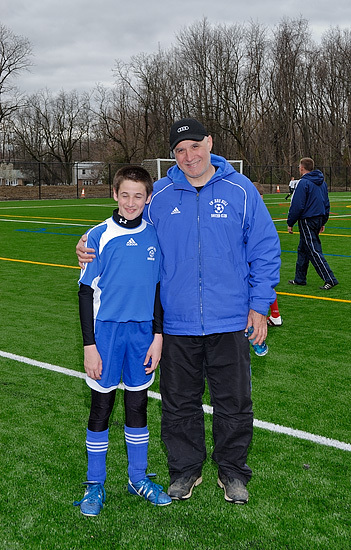 John Martines, coach of the Cherry Hill U13 boy's team, and his son Carlo at Cherry Hill's Upper Chapel Avenue Field after his team's first game of the season on April 6, 2008. Bill Winegardner, coach of Camden Catholic's very first soccer teams (1974/75 and 1975/76 school years), died on March 23, 2008. His obituary is HERE. John Martines, the Cherry Hill Soccer Club Travel Division President, speaks at a ground-breaking ceremony for a new synthetic turf project on the Upper Chapel Avenue Field on September 29, 2007. 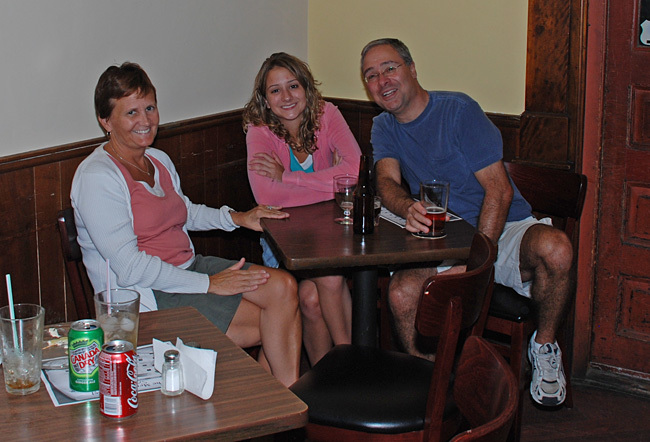 Len Campbell with his daughter Elizabeth at sunset in Ocean City, New Jersey on July 1, 2007. 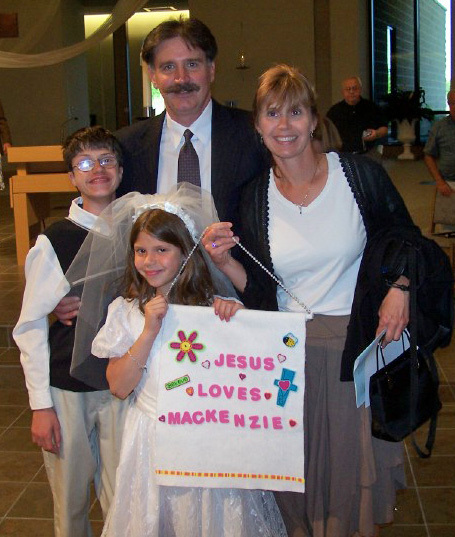 Ron Sammeth, his wife Karen, and son Trevor celebrate Ron's daughter Mackenzie's First Holy Communion on May 12, 2007. Bob Powitsky getting ready to walk his miniature pinscher Duchess in May 2007.